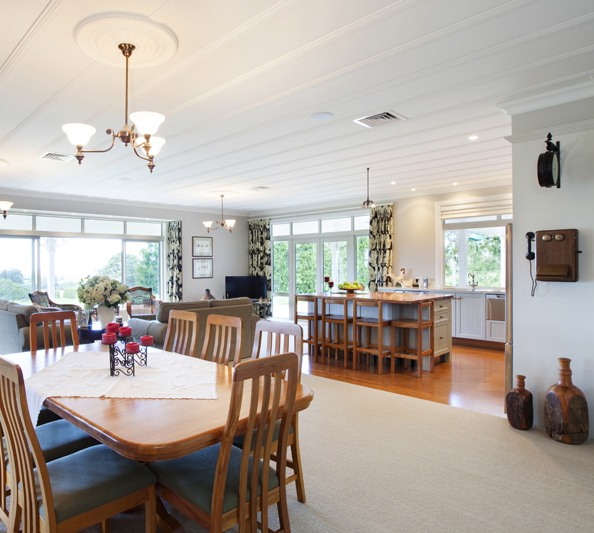 In any home or commercial design the lighting must be functional and aesthetically pleasing. A well-thought-out lighting plan is as important as the fittings used. Vogue Lighting offers our clients this exact service. Vogue Lighting has one of the most diverse ranges of lighting available, from Italy’s latest contemporary creations, to the classic lines of hand-blown German glass, to superbly designed and manufactured New Zealand-made products and the best Asia has to offer. Our North American ranges are from the largest and most acclaimed luxury lighting companies in the world, providing Vogue designers the opportunity to vastly expand the collections available to you. While based in the Bay of Plenty, we have been involved in projects from all over New Zealand and as far afield as the Pacific Islands and Australia. You will find some examples of our lighting designs below. 2009: New home built in Tauranga. The chandelier matches the wall sconces and is centred over the conversational table, defining the room and lighting the large space. 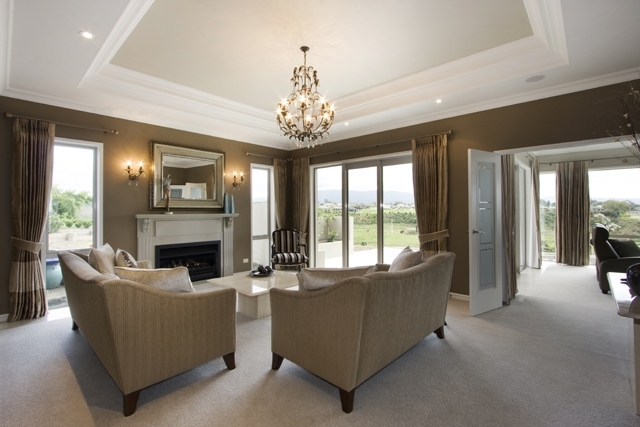 The raised ceiling in this formal lounge called for a strong and substantial chandelier. The finish and the look blended with a variety of decor, which allowed the new homeowner leeway in matching the lighting to the furnishings. Typically, the carpet, drapery and wall colours are selected first. Often there isn't enough wall space in a home to allow for wall sconces in a lounge, but this fireplace created the perfect setting for flanking sconces. 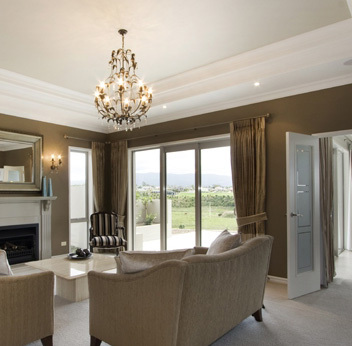 2011: New build in Tauranga. 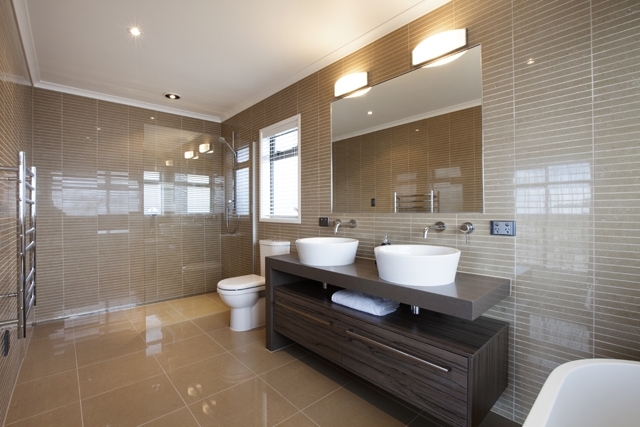 The master bathroom is inviting, contemporary and large. To light the space, Vogue layered recessed down lighting with linear fixtures over the one mirror. The ceiling light washes the entire room from wall to wall, while the mirror lighting provides specific task lighting. 2011: New build in Tauranga. The dining area is an open plan with a 2.7 meter ceiling that is defined by a drum pendant, with a touch of simple sophistication ... not too formal and not too plain. By lighting the dining table, remaining lights in the room can be dimmed, adding a bit of emphasis to an evening feast and fun. 2008: Garden lighting in Mt. Maunganui. The residence enjoyed a large tropical garden surrounding an outdoor pool, with views of the garden from many rooms in the home. Vogue employed a number of garden lighting and pool area fixtures to enhance nighttime entertaining ... both inside and out. 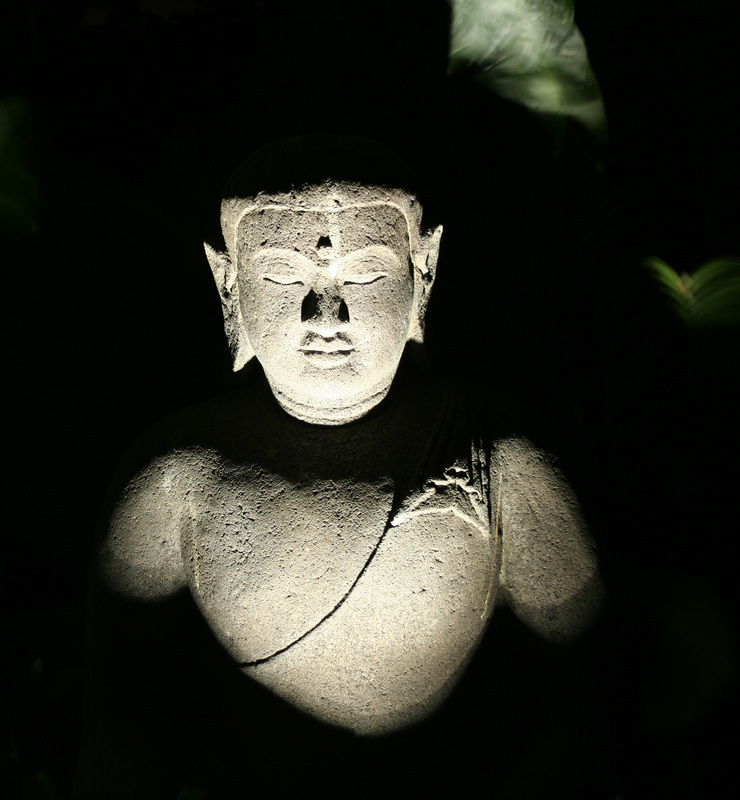 This garden sculpture was lit using a in-ground halogen up-light fixture. The fixture was 12V and ran parallel to other garden spots that illuminated the native ferns and palm trees on the property. 2013: New build in Waikato (rural homestead). The house features a great room where all the daytime action happens. The homeowner loves to cook and wanted a space in which she could cook and entertain. The space required task lighting for the dining table, family area and the kitchen island. The Old World look of the lights matches the old farm feel of the modern home, built with attention to quality details.